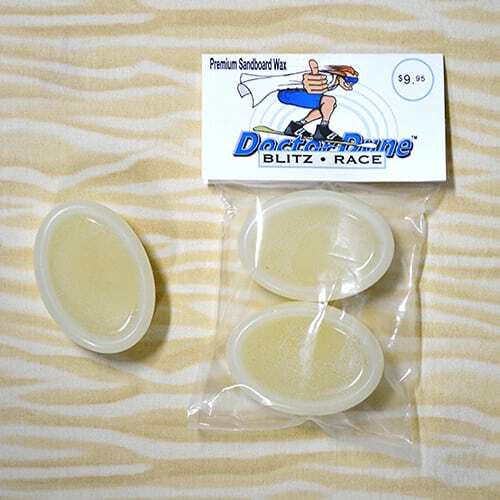 Dr.Dune’s ‘Blitz’ is a competition race wax used when static is present in the dry sand. When there is no static present ‘Blitz’ performs simply as regular sandboard wax. However, when the sand has static and another mile or 2 increase in speed is needed to put you in front of the competition ‘Blitz’ get you there. 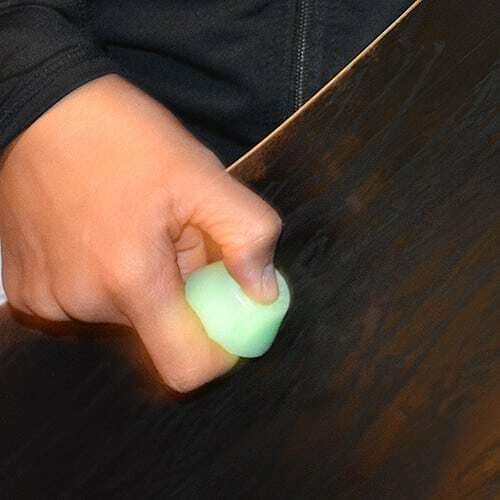 Translucent white in color with a light vanilla scent, Blitz is easily applied before each run by gently rubbing the bar over the surface of the base and briefly buffing the board right on the sand itself. 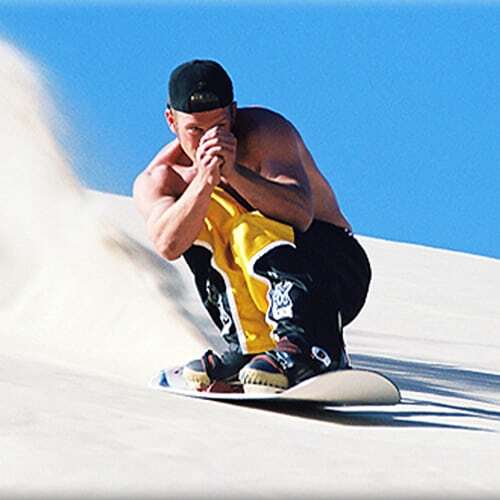 Blitz will improve the acceleration and glide of the sandboard as well as condition the base to last longer with reduced wear. 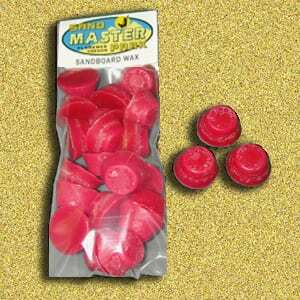 Blitz wax works well on low to high tempreture dry sand but is most effective on sand in the medium temperature ranges. 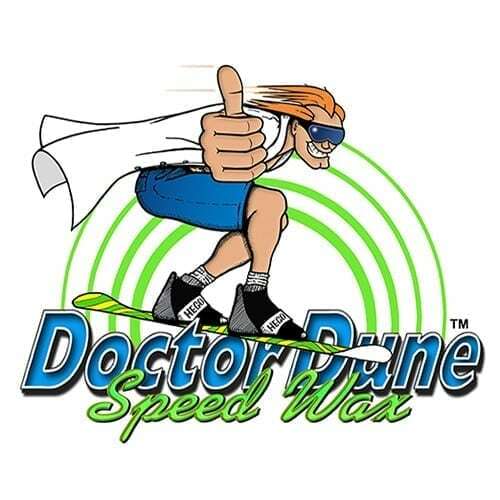 Category: BoardWax Tags: Doctor Dune, Sandboard Race Wax, Sandboard Wax, sandboard wax for sale, Speed Wax Brand: DoctorDune. Dr.Dune’s ‘Blitz’ is a competition race wax used when static is present in the dry sand or surrounding air. When there is no static present ‘Blitz’ performs simply as regular sandboard wax. 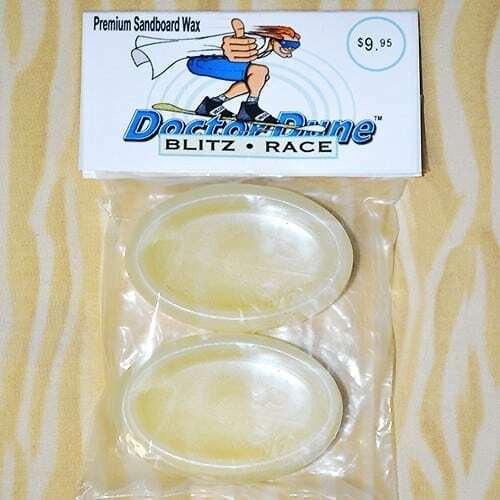 However, when the sand is holding static and another mile or 2 increase in speed is needed to put you in front of the competition this professionally formulated sandboard race wax, ‘Blitz’ will get you there. 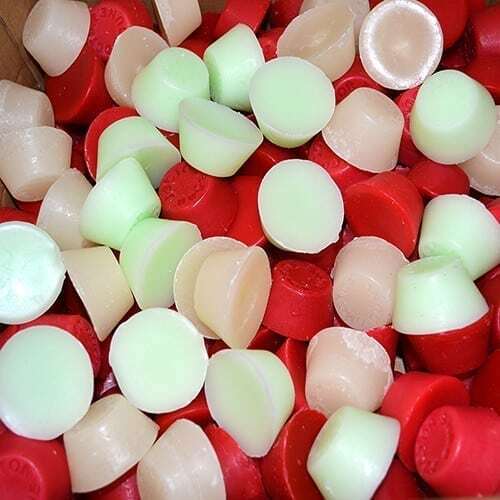 Translucent pearl white in color with a very light vanilla scent and natural organic hardeners. Doctor Dune’s ‘Blitz’ is easily applied before each run by lightly rubbing the bar over the surface of the base. A brief buffing of the board right on the sand itself helps to blend and even it out. It only takes a couple seconds and you’re ready to roar! Doctor Dune’s ‘Blitz’ sandboard race wax will improve the acceleration and glide of the sandboard. But that’s not all. 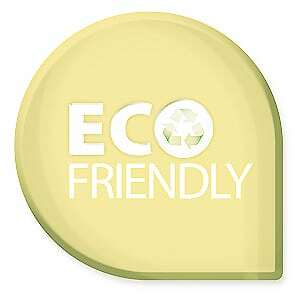 It is also conditions the base to last longer with reduced wear and friction. Blitz wax works well on low to high tempreture dry sand but is most effective on sand in the medium temperature ranges. Static block helps overcome that pesky static cling that can form on very dry sand. Static can also be present with ionic conditions in the air in contact with sand. ‘Blitz’ sandboard wax was carefully formulated with the environment in mind. Guided by master chemist G. Allen Beale then further refined through rigorous testing by top pro competition sandboarders. Over the last 20 years, Doctor Dune’s in-house sandboard wax technician further improved the appeal & effect of ‘Blitz’. 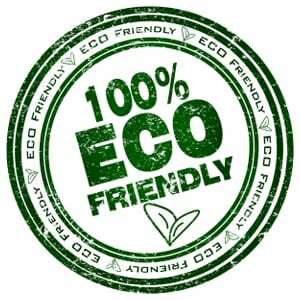 With a pleasent very light vanilla scent and organic eco safe hardeners it’s a wise choice. Adding 25 years of sandboard lubricant experience to Doctor Dune’s sandboard waxes has made ‘Blitz’ a winner. 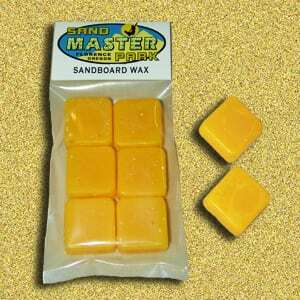 For more information about sandboard waxes and the proper application visit Doctor Dune online.